Year: cerca 2900 to 3000 B.C. 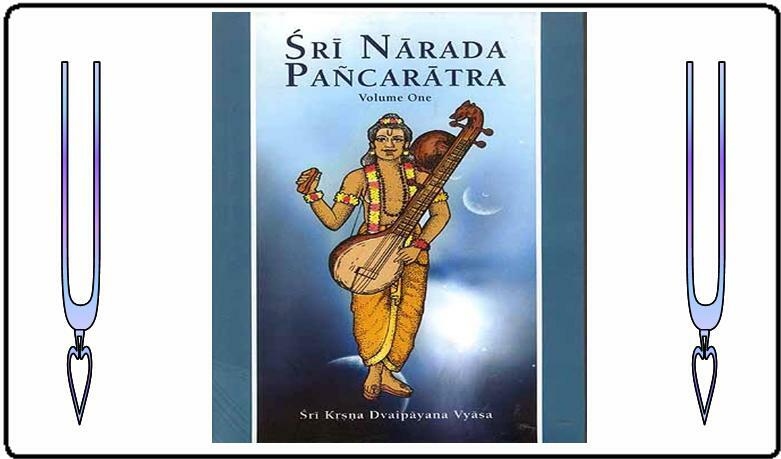 The Narada Pancaratra (“The Five Branches of Narada Muni”) is a revered book by the Gaudiya Vaisnavas. It contains the essentials on devotional service and worship to the Sri Sri Radha Krsna. The overall nature of the scripture is a conversation between Lord Siva and Narada Muni. The scripture is divided into five ratras, or branches of transcendental knowledge. The five branches are knowledge of the Absolute Truth, knowledge of liberation, knowledge of devotional service, knowledge of mystic yoga, and knowledge in the mode of ignorance. Each ratra is filled with songs, prayers, and kavacas, or prayers that act as a shield for protecting the chanter.